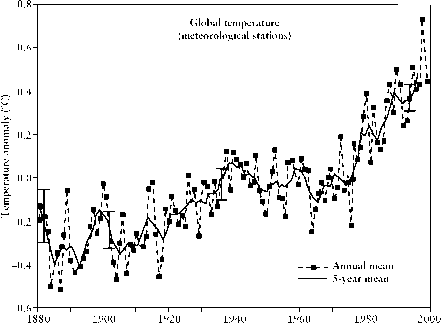 FIGURE 2-1 Near-global annual mean surface air temperature from 1880 to 1998 relative to the mean surface air temperature between 1951 and 1980 14°C). Data from the NASA Goddard Institute for Space Studies web site: http://www.giss.nasa.gov. 1. What criteria are used to tell us that the earth's climate is becoming warmer? How do we take account of the normal year-to-year variability of the climate in any one area on the earth's surface? 2. Assuming that the criteria for defining the stated changes in the earth's climate are sound, how do these twentieth-century climate changes compare with other variations in climate noted in historic and prehistoric times? In other words, is there a possibility that the climate changes noticed during the latter half of the twentieth century are due, at least partially, to natural causes? Computer models (see Section 3.3.5) detailing the influences of different factors on the earth's climate are being developed and may help answer this question. 3. Why should an increase in the carbon dioxide content of the atmosphere lead to a warming trend in the earth's climate? What other factors regulate the earth's climate? 4. What do we know about the general circulation of the atmosphere? 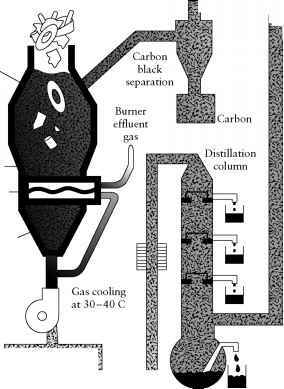 After all, carbon dioxide and chlorofluorocarbons are released into the atmosphere at particular locations on the earth's surface. How far do they spread through the atmosphere? 5. Although the carbon dioxide released into the atmosphere is said to affect the total climate, the macroclimate, of the earth, we humans actually live in small areas where we worry about microclimate. What do we know, for example, about the special climates of cities as opposed to their surrounding countrysides? How do the pollutants produced by human activities in cities become trapped in the atmosphere above these cities, to become hazards to people's health? We shall attempt to answer these questions in this and the following chapter, though not necessarily in the order in which they have been presented. The answers to most of these questions are complex and, in many cases, incomplete. It will thus be seen that questions and answers concerning the atmosphere and human effects on the atmosphere and climate are not simple and need a great deal of further study. This does not mean that action should not be taken, but it demonstrates the reason for the controversy surrounding these topics.